Sharmishtha Basu@ Indie Adda: Tell us something about yourself. Celestine Nudanu: Thank you Trisha, for this opportunity to interact with your readers and followers. I must admit I’m so happy to be here. I’m a middle aged woman who refuses to think like one. I’m a romantic at heart, and love a good romance story, though I shy away from erotica. Almost all my works focus on love, or aspects of it. I love books. And I would rather buy books than trendy clothes. I’m a strong Christian with my unshakeable belief in the resurrection power of Jesus. I’m a product of the University of Ghana, Legon where I graduated with a BA in English and Theatre Arts, and MA degree in International Affairs. As well as being a passionate reader and book reviewer, I’m also a poet, with a talent for haiku, the short Japanese poetry form. I’m a work-in-progress though. Yes, and I’m married with three boys. Oh did I forget to say that I love to laugh, at life, at myself and at laughter itself. Sharmishtha Basu@ Indie Adda: Tell us something about your book. Celestine Nudanu: Ahh! Haiku Rhapsodies. It’s all about haiku, that three lined Japanese poetry form on nature or aspects of it. Trisha, I lose myself in haiku, both the reading and writing of it. When I see my words on paper or on screen, they tug at my heart; I feel a sense of wholeness. And I mean that. I’m not complete until I write and read haiku. Sharmishtha Basu@ Indie Adda: Is it your first book? If not then tell us about your previous books, more coming? Celestine Nudanu: Yes, Haiku Rhapsodies is my first book. At the moment, I’m compiling the second volume and will self publish it as soon as I’m done. There’s also the draft for a novel that I’m working on. 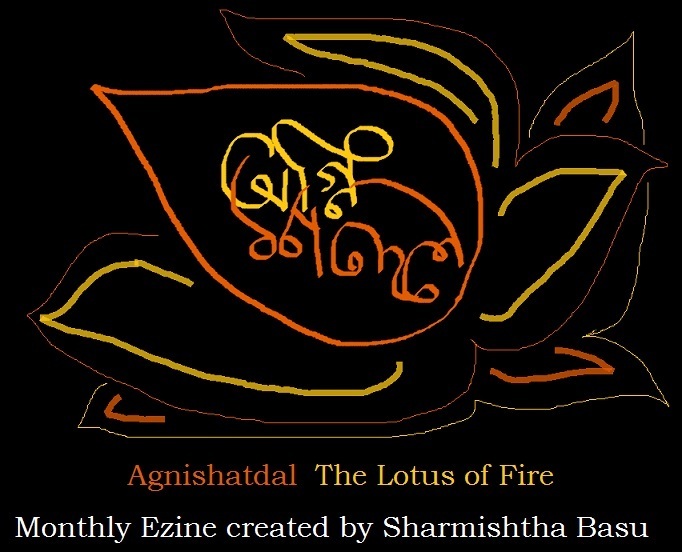 Sharmishtha Basu@ Indie Adda: How does it feel to publish your book, finally? Celestine Nudanu: Hmm, Trisha, quite exciting! It’s like a great burden has been lifted off my shoulders. 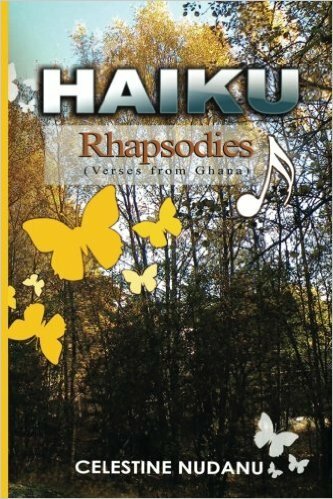 I’m always thrilled to read reviews of Haiku Rhapsodies. I must say that the book was very well received in my country here. I sold over a hundred copies at the launch and immediately after. Sharmishtha Basu@ Indie Adda: Any suggestions for wannabes? Celestine Nudanu: LOL. What can I say? It’s not easy to write a book, be it the novel, poetry or play. But with perseverance, determination and God, one can do anything. That works for me. And Trisha, one thing I have come to realise is that we must love whatever we do. Without the passion, whatever we produce will be lack lustre and mediocre. Sharmishtha Basu@ Indie Adda: From where can we buy your book? Sharmishtha Basu@ Indie Adda: Do you blog? Give us your blog and Facebook address please so we can stalk you! Kidding, read more of your fantastic works!